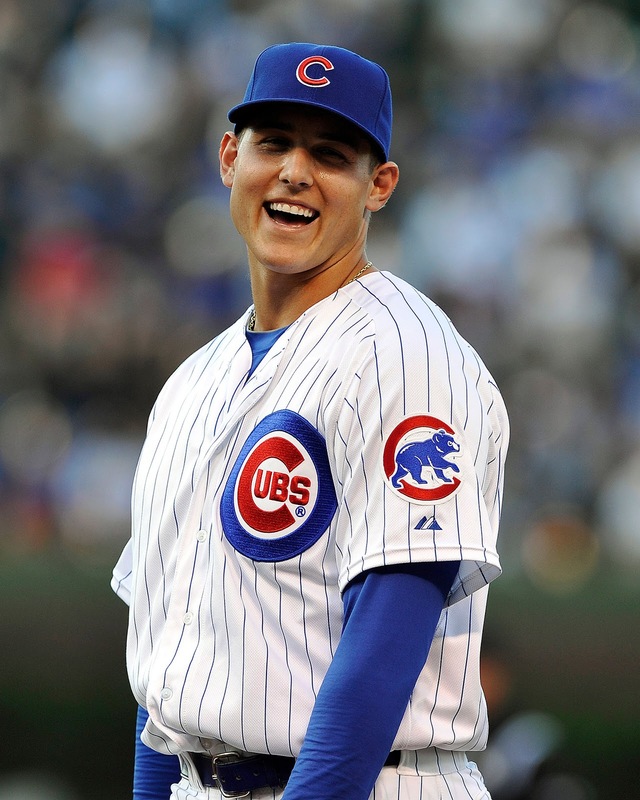 Anthony Vincent Rizzo was born August 8th 1989 in Ft. Lauderdale, Florida. His family heritage goes back to Ciminna Sicily. The six foot three first baseman bats & throws left handed. In 2007 Rizzo was signed out of high school by the Boston Red Sox in the sixth round of that years draft. In 2010 he was traded to the San Diego Padres along with Casey Kelly & Reymond Fuentes in exchange for Adrian Gonzalez. At the time Rizzo was ranked the third best prospect in the Red Sox organization with Kelly being #1. He was invited to Spring Training and impressed everyone, but still began the year at AAA Tucson. There he hit .452 with 6 HRs in his first 15 games, eventually he was batting .352 in June getting his big league call up. Rizzo debuted with The Padres on June 9th 2011, hitting a triple & drawing two walks in his first career game. The press in San Diego called it the most anticipated Padre call up since Roberto Alomar in 1988. He struggled & was batting just .143 when he was sent back to AAA Tucson. He worked hard & returned in September. In January of 2012 he was traded to the Chicago Cubs along with Zach Cates in exchange for Andrew Cashner & Kyung Min Na. 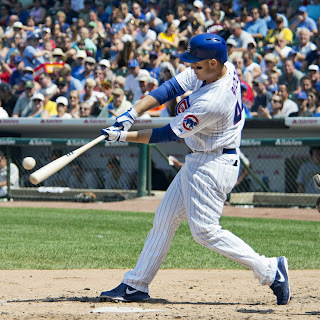 He began the year at AAA Iowa but was brought up to the Cubs big league squad by the end of June. In July he hit seven HRs & was named the Rookie of the Month. He finished with 15 HRs 48 RBIs while batting .285 in just 87 games. 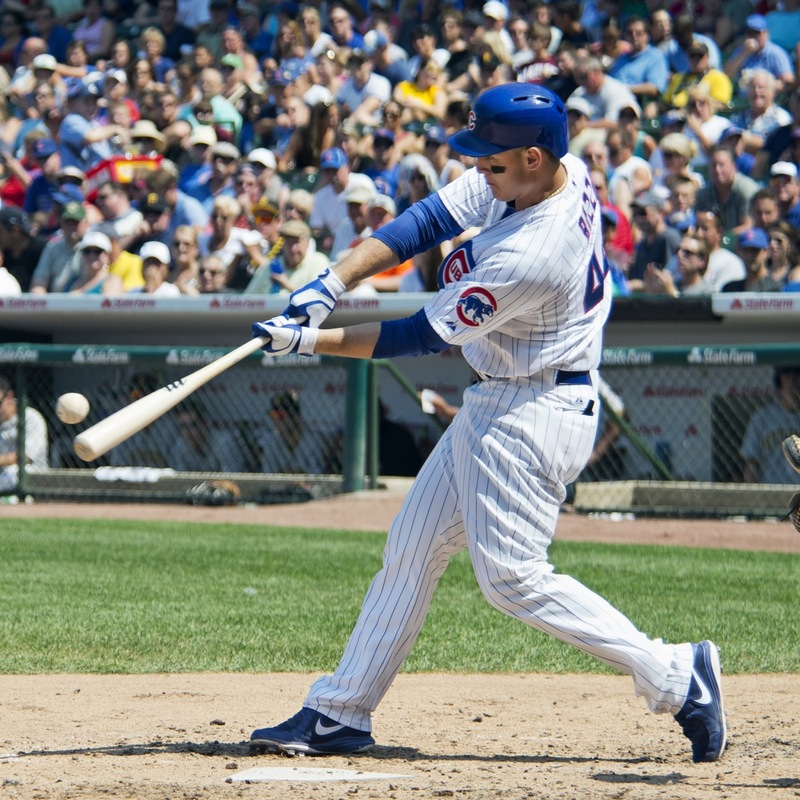 In 2013 he became the Cubs main first baseman and signed a seven year $41 million deal to remain a Cub. On the year he hit 23 HRs with 40 doubles (5th in the NL) 76 walks (6th in the NL) & 80 RBIs but his average was just .233. 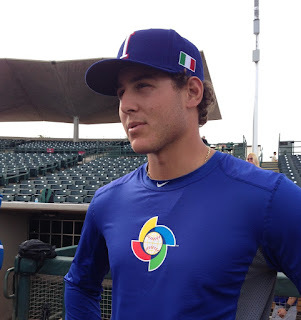 That year he played for Italy in the World Baseball Classic, going 4-17 with 6 RBIs. In 2014 he made his first All Star team, winning the final vote. He came into his own as one of the better all around players in the league. He won a Player of the Week Award in July were from the 18th to the 23rd he hit 5 HRs with 6 RBIs in the midst of a ten game hit streak. 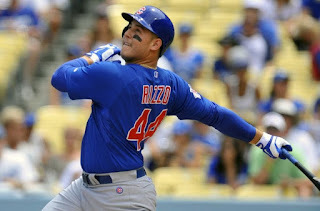 On the year Rizzo raised his average over fifty points to .286, he hit 32 HRs (second in the NL) with 78 RBIs posting a .386 on base % (4th in the NL) despite missing twenty games to injuries. His .527 slugging % was fourth best in the league. That year he also became the youngest person to win the Branch Rickey Award for being a solid role model for young people. In 2015 he was playing on a highly improved Cubs team, where is one of the teams star players & one of the most popular players at Wrigley Field. Into July he was leading the NL in doubles and batting near .300. He already had 15 HRs with 45 RBIs and was amongst the top of the NL in Slugging & on base %.